Blurb: Despite her success in the Sydney art world, Cassia yearns for the idyllic life she once lead with Jake in their shack over looking the Pacific Ocean. Seeking closure she falls, like an addict, straight back into his arms, and out again equally quickly. Not only has he taken up with his brother’s wife, but it seems they have a child. Truth is, Jake’s living a lie, sworn to secrecy, and hamstrung by the debt he owes his estranged family. But one glimpse of Cassia and he knows he cannot live without her. Her fey, artistic character and magical body possess his imagination and his heart. 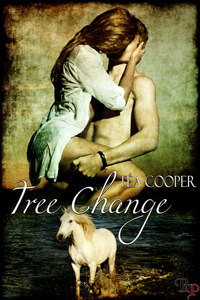 Can he convince her to trust him long enough to save the crumbling remains of their relationship? 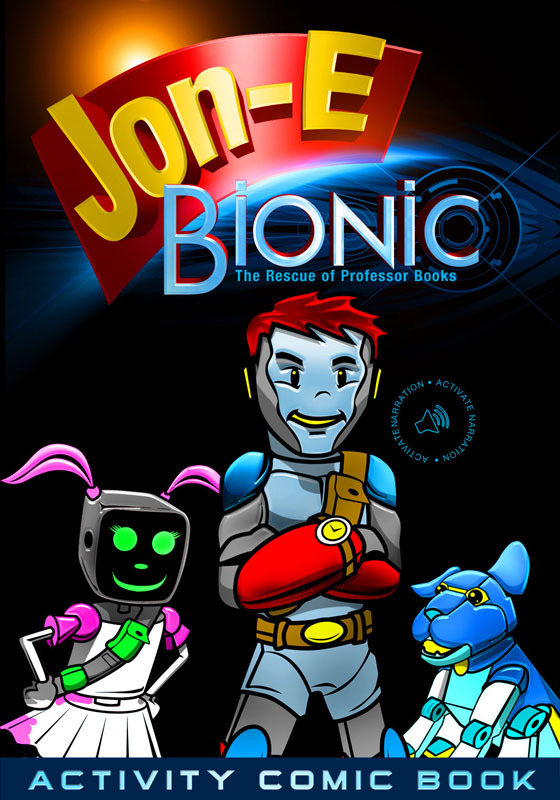 Jon-E Bionic: The Rescue of Professor Books by Trailer Park Inc.
Join Jon-E Bionic and his friends in an iBookstore first-ever Activity Comic and Coloring Book. Loaded with amazing art, stunning sounds, and beautiful animation, “Jon-E Bionic: The Rescue of Professor Books” brings a new and exciting experience to children of all ages. The world of Jon-E Bionic is further brought to life by world-renowned voice actor Corey Burton, whose prior work includes Count Dooku in Star Wars: The Clone Wars; Brainac in the DC animated Universe; Spike and Shockwave in the Transformers Universe; and many other Cartoon Network and Disney characters.